By Allison Senecal — Do you have questions about the current state of the X-Men? Relax and breath. You’re not alone. I’m probably one of the biggest fans of these books (or at least the most vocal/excited) on all of comics Twitter, and, trust me, I hear questions about X-Men basically every day. It makes sense. It’s an exciting time for these great characters, but also? They’ve been through a lot as of late. So, that’s why today I’m taking some of the most frequently asked X-questions (plus a few I added myself because they’re things we all need to remember), and I’m doing my best to get you all answers. Ready? Let’s do this! Q: So, what’s this new Uncanny X-Men #1 all about? Uncanny X-Men #1 came out last Wednesday. Uncanny X-Men #2 - #10 are weekly through mid-January, followed by an annual. Uncanny X-Men #11 - #12 are due in February. Afterward, it’s business as usual from there, I’M GUESSING. At some point, I’m sure Marvel will revert to the original numbering, because well...Marvel. CYNICISM ASIDE, though, this is a really exciting re-launch. It features three wonderfully fresh co-writers (Ed Brisson, Kelly Thompson, Matthew Rosenberg) plus a slew of amazing artists and big concepts, all of which are leading into AGE OF X-MAN, which looks like an awesome fever dream I once had. Q: Can I just jump in with the new Uncanny X-Men #1, or are there other X-series I need to read first? A: Honestly, you can jump in here. X-fans make a lot of jokes about how complex X-continuity is, but Google is your friend here, as is the really fantastic Marvel Wiki. My advice is to just look up characters as you go, pick some favorites, and follow them to other books. Basically, just enjoy the eXperience! But! If you do want to do some prep work, I suggest you pick up Rosenberg’s Multiple Man and New Mutants: Dead Souls. Both are five-issue miniseries, and easy to catch up on. Both also seem to maybe be relevant to the new Uncanny? X-Men Red is a good series to use to get acclimated to major characters. The recent Charles Soule and Rosenberg runs on Astonishing X-Men are also great for getting a sense of the current status quo for other popular mutants. 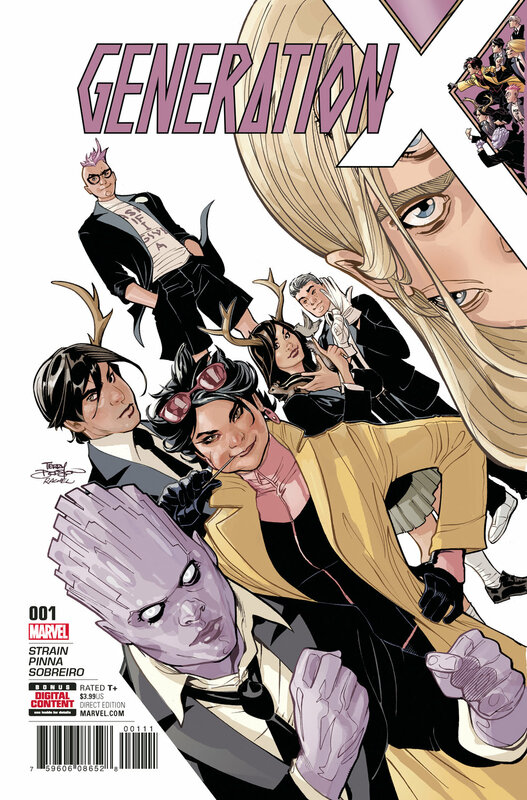 Meanwhile, 2017’s Generation X by Christina Strain and Amilcar Pinna is a good one for getting to know some of the younger mutants who look like they will soon appear in 2019’s Age of X-Man! Q: What’s up with Wolverine right now? Wasn’t he also dead or something? And is there a new Wolverine named Laura? Also...who’s Gabby? A: Logan is back! Ignore the fact there may actually be TWO Logans right now (because, comics). Logan Logan is back in the Return of Wolverine miniseries, and if teasers are to be trusted, he’ll be starring in Uncanny X-Men #12 come February. Laura is his daughter (a revelation as of August), formerly thought to be his clone. She’s been going by Wolverine but has reverted now to the codename X-23, with Logan’s return to the X-Men imminent. Gabby is one of Laura’s clones, and effectively her little sister. She’s also one of the best newer Marvel characters. Don’t worry about more code name confusion, Gabby goes by Honey Badger—not Wolverine. Q: What’s up with Professor X right now? Wasn’t he dead or something? A: See above recommendation for Soule’s Astonishing X-Men!! Kidding, kinda, but that is a good place to go for all things Professor X. Here’s the short version, though: his astral form was trapped by the Shadow King and now he’s in Fantomex’s body! He’s around, but not around around. He’s lurking. Q: What’s up with Cyclops? Wasn’t he also also dead or something? A: Cyclops IS dead. But teasers for Uncanny #11 seem to imply he’ll be back! A younger version of Cyclops (and the other Original 5 X-Men) has been kicking around for a few years now, but the O5 are being sent back to their time in the current Extermination miniseries. 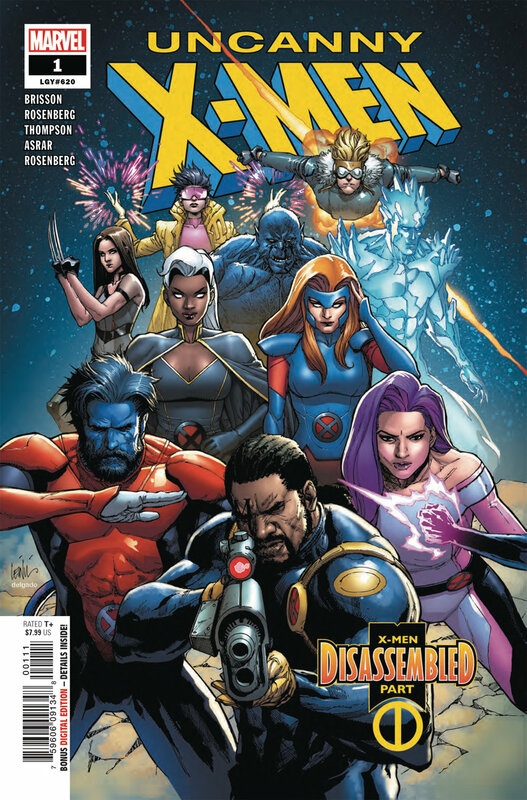 If you wanna read about their adventures, read All-New X-Men, X-Men: Blue, and Extermination. Just know they’re going back, and probably &%$#ed up some timeline stuff! Which may be relevant to next year’s X-plans….or not. Q: What’s the deal with Warren (Worthington III aka Angel aka Archangel) right now and didn’t his wings use to be fire/metal/able to shoot poison projectiles? A: See above. There’s been a younger version of Angel kicking around, and he had fire (COSMIC) wings. Older Warren has been through a lot. He was manipulated, brainwashed, and warped into Archangel (metal wings, blue skin, murder!projectiles) by Apocalypse in the ‘80s. Since then, we’ve had Archangel clones, there was weird free love hippy Angel (free of Archangel) who had no memories of his earlier life, and, finally, Angel and Archangel who were reunited to the benefit of both. Thanks to events in Soule’s Astonishing X-Men (see how important that series is?) and the psychic suggestion of Professor X, Warren now seems to have control over the Archangel persona, which used to just be a mindless, ruthless, uncontrollable murder machine. So, there’s that. Regular wings, but sometimes murder!wings. Or, Tl;dr: Jekyll & Hyde. Q: Any X-series that aren’t so strongly tied to larger storylines right now? A: Go try Mariko Tamaki’s X-23, Kelly Thompson’s Mr. and Mrs. X, and Tom Taylor’s X-Men Red! They’re all great reads that don’t really tie into the new Uncanny run, and are just fun on their own. A: Long story short, Marvel royally messed up decades ago in the early ‘90s (which was common during those ahem somewhat problematic times) when they mind-swapped/melded a white Englishwoman named Betsy Braddock with a Japanese woman known as Kwannon. Recently, writers rectified that fiasco in the Hunt for Wolverine mini-event, and now both women are more or less in possession of their original bodies. I think there are a lot of fans hoping Kwannon and her ordeal are revisited at some point (I would read an entire miniseries about this from a creator who can personally speak to Kwannon’s experiences). Q: Who are the best creators to follow on Twitter for all things X-related? A: Pretty much all of the current X-creators are a blast to follow right now. Leah Williams is the X-Men Shitpost and Playlist Queen. Rosenberg, Brisson, and Thompson are all hoots, especially when interacting with each other. Even the X-Editor eXtraordinaire, Jordan D. White, is super interactive with fans. Follow Kris Anka for some amazing X-Men redesigns and frequent cheesecake. Lonnie Nadler and Zac Thompson are also great. Q: Why are the X-Men one of your favorite comics things right now? A: I would say when aren’t the X-Men one of my favorite comics things, but we’ve had our lows. We seem to be entering some GREAT TIMES TO BE X-FANS. A lot of the writers and artists working on this wave of X-comics grew up on the same X-things I grew up on! We’re all giant ‘90s X-nerds, and it’s REALLY AWESOME. You can tell everyone loves what they’re doing—it shows in the work. I love it. I hope what’s coming is wild and weird and totally different. And I think it will be. The X-Men with their central metaphor about group treatment toward the other also remain...topical, to say the least. Essentially, these comics are a great place to explore, play with, and process our times, and they’re rapidly gaining more nuance.